These questions have fascinated people ever since the news broke about the respected New York financier who swindled his friends, relatives, and other investors out of $65 billion through a fraud that lasted for decades. Many have speculated about what might have happened or what must have happened, but no reporter has been able to get the full story -- until now. In "The Wizard of Lies," Diana B. Henriques of "The New York Times" -- who has led the paper's coverage of the Madoff scandal since the day the story broke -- has written the definitive book on the man and his scheme, drawing on unprecedented access and more than one hundred interviews with people at all levels and on all sides of the crime, including Madoff's first interviews for publication since his arrest. Henriques also provides vivid details from the various lawsuits, government investigations, and court filings that will explode the myths that have come to surround the story. 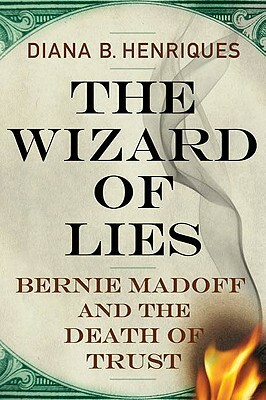 A true-life financial thriller, "The Wizard of Lies" contrasts Madoff's remarkable rise on Wall Street, where he became one of the country's most trusted and respected traders, with dramatic scenes from his accelerating slide toward self-destruction. It is also the most complete account of the heartbreaking personal disasters and landmark legal battles triggered by Madoff's downfall -- the suicides, business failures, fractured families, shuttered charities -- and the clear lessons this timeless scandal offers to Washington, Wall Street, and Main Street. Diana B. Henriques is the author of "The White Sharks of Wall Street" and "Fidelity's World." She is a senior financial writer for "The New York Times," having joined the "Times" staff in 1989. A Polk Award winner and Pulitzer Prize finalist, she has won several awards for her work on the Times's coverage of the Madoff scandal and was part of the team recognized as a Pulitzer finalist for its coverage of the financial crisis of 2008. She lives in Hoboken, New Jersey.